Thanks to a recent visit to my local Aveda Salon, I was introduced to what I now affectionately call miracle oil- a.k.a. argan oil. I’ll admit, at first I was enticed by the scent of the frizz-taming hair product (that I promptly bought a sample of). However, further investigation has me hooked on this new buzz product for more than olfactory satisfaction. 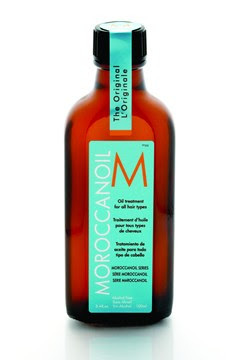 Argan Oil is produced, almost exclusively, in Morocco. 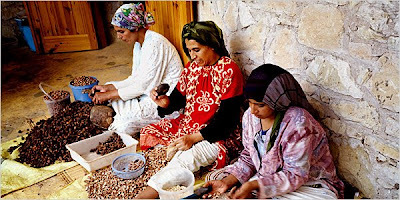 Berber women have been harvesting nuts from the indigenous argan tree for centuries and using its oil as a panacea for nails, hair and skin. Today, due in large-part to government efforts, co-ops have been established to create fair wages and good working conditions for many women in the region. A boon for women’s rights in Morocco has in-turn benefited women’s beauty routines in the west thanks to a host of new certified argan oil products. Favorites such as Kheils, Sephora and Aveda have all added products to that boast argan oil. 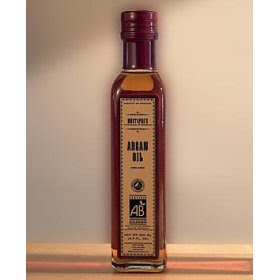 And, for a culinary adventure, you can use Argan oil as an ingredient like you would olive oil. High levels of vitamin E make it a healthful choice. Moroccans use it mixed with honey and yogurt for breakfast, as a finishing touch to their tagines and mixed with lemon juice as a salad dressing. Argan oil production had increased enough that the cooperatives have been financially backed to start en ecosystem reforestation project to protect the argan forest. Have you tried any of these products? Let me know if you have a favorite! Oooo! I need to try this stuff! I go to an Aveda Salon in New Orleans and I LOVE them! I am going to be making an appointment for my haircut/color so I will definitely check out the argan oil! Thanks for the recommendation, cannot wait to try it! And for the final test.... Is the bottle recyclable? now I am intrigued. I love anything that helps other woman like this. I may need to run to Aveda soon.